This lush ornament doubles as a headpiece AND sash for the gown. Comprised of antique white and blush organza petals (ALL WHITE avail upon request) and matching satin ribbon. 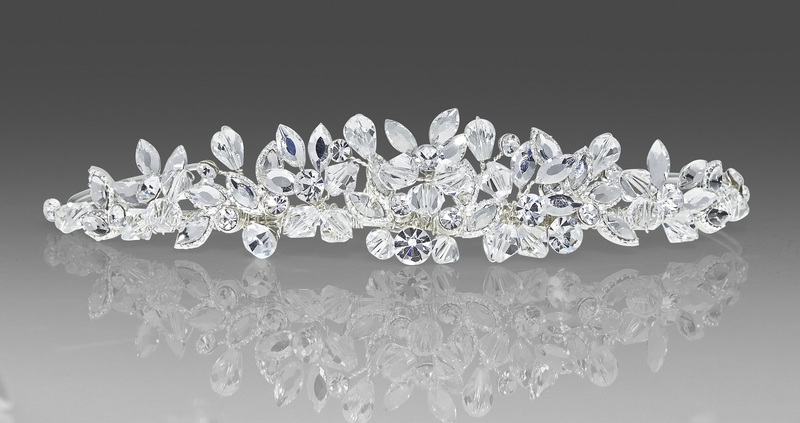 This sparkly and lightweight mini tiara-comb is perfect for the princess up-do and can stand alone OR have a cascading veil attached. 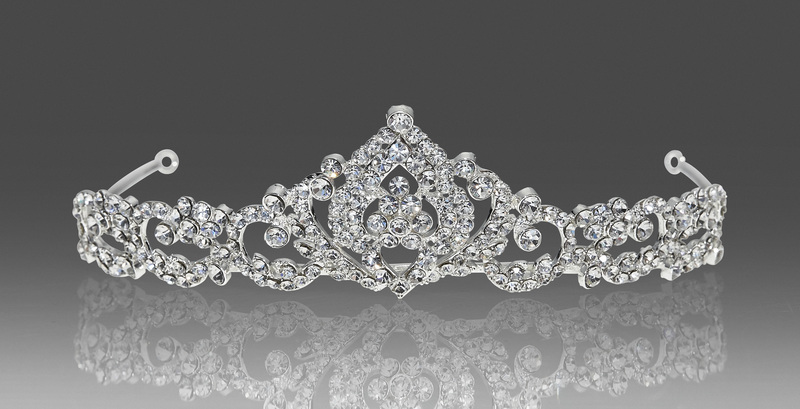 A petite tiara that still exudes brilliance. 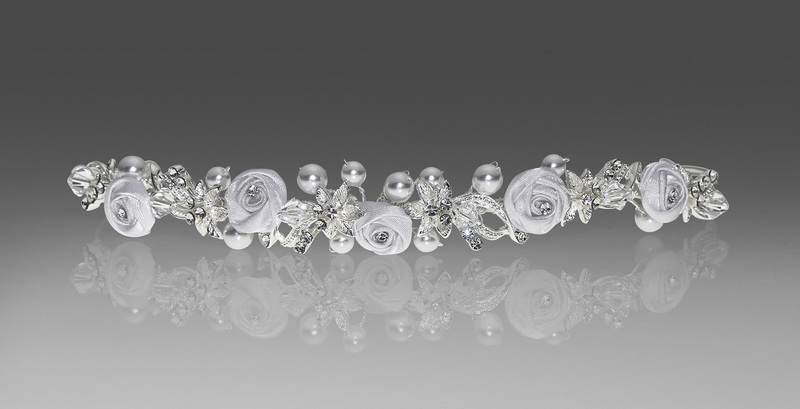 Perfect for younger flower girls or little communion princesses. A scalloped bun wrap that can also function as a headband. 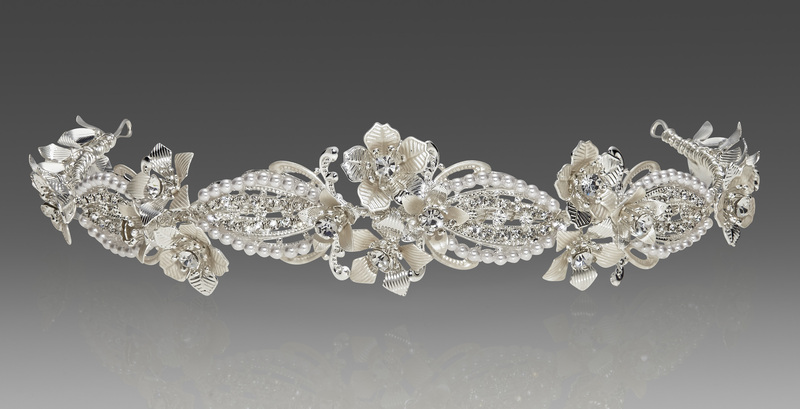 Comprised of mini pearls, vintage floral components and crystals. 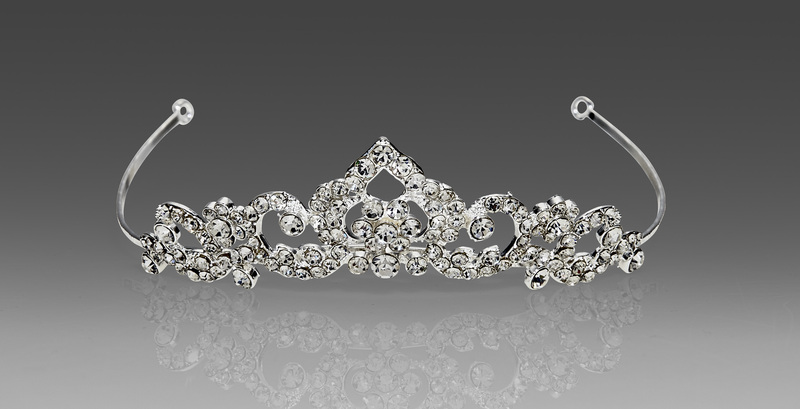 Baroque inspired tiara embellished with sparkling crystals adds a radiant glow to any little Princess. 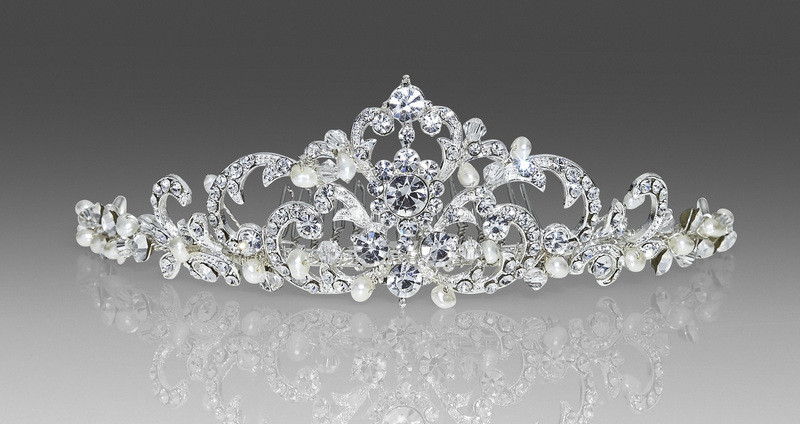 Delicate white satin florettes, clear crystals, and dainty white pearls make this an elegant, yet classic piece. 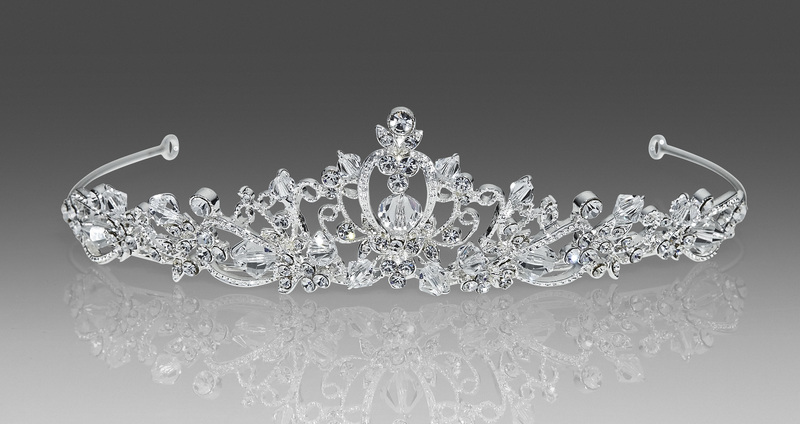 Subtle, yet brilliant, this crystal encrusted tiara can easily stand alone as the sole accessory. 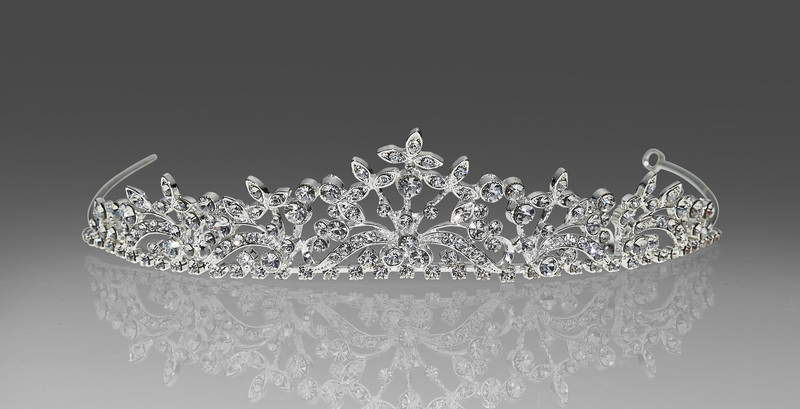 Full of glittering navettes, clear crystal & Swarovski round rhinestones, this tiara will dazzle with any gown style. 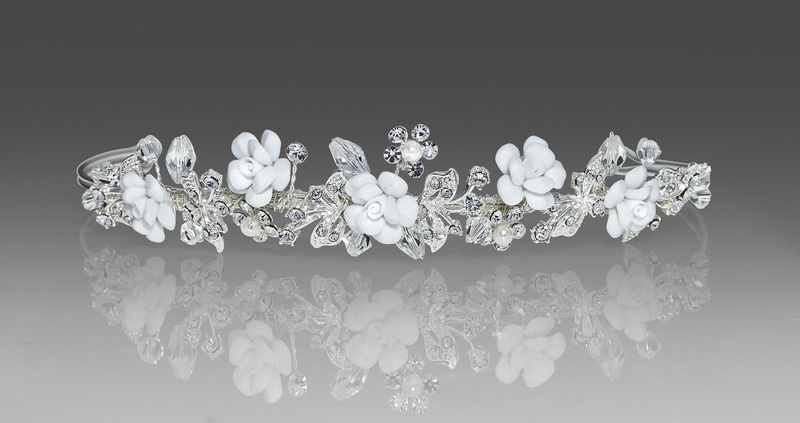 Darling headpiece with diamond white porcelain flowers, rhinestone encrusted leaves & clear crystal is inspired by young debutante charm. 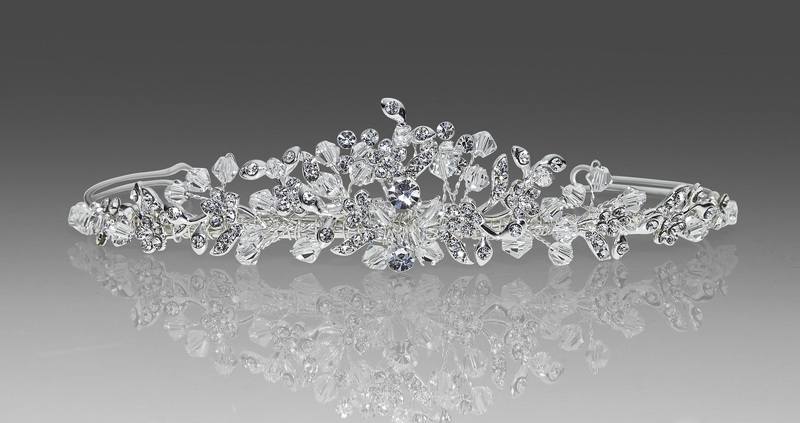 Elaborate, handmade tiara offers dimension & brilliant sparkle with daisies, clear crystal & rhinestone vines.